One of the highlights of our job in Bookeo is that we get to know many, many small business owners, from the most diverse backgrounds. This gives us a chance to learn about the different ways in which people like to do business. And there are many different ways! 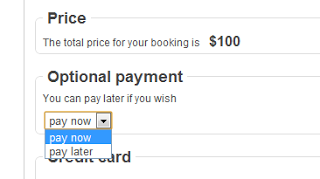 In the recent weeks a feature request was coming up quite frequently: the ability to let customers to choose between paying online at the time of the booking, or paying later. We’ve worked hard to implement flexible online payments, with deposits, cancellation fees, multiple card charges, and so on, so we were a bit surprised by this request. After all, we thought, if given the chance, who would prefer to pay now instead of paying later? Well it turns out that there are many reasons. Some people are just not confident in paying online. Some do not have a credit card. So they prefer to pay at the time of the visit. Others are just paying for someone else (ex. a music lesson for their children), so they prefer to pay online. Well, problem solved! You can now accept online payments/deposits and leave your customers the option to pay later instead. 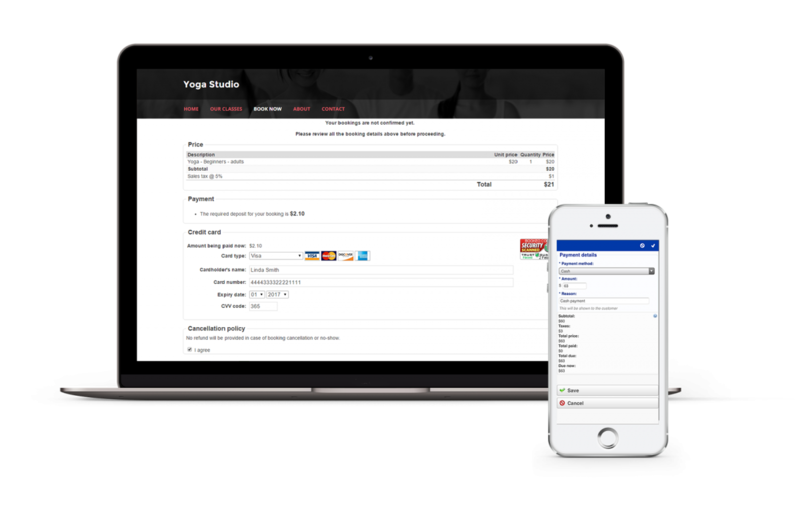 Simply enable the option to ‘Allow deferred payment’, input your own custom message, and… give your customers the extra choice.